Platinum 4WD. Seats 8. Clean 2-Owner CARFAX. 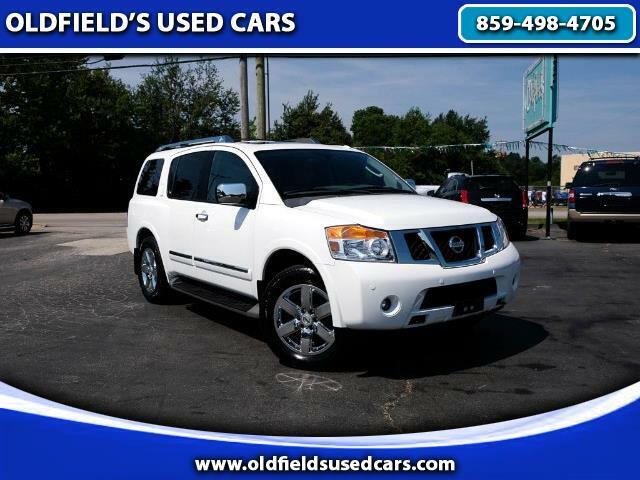 This 2010 Nissan Armada is loaded up with heated leather seats, navigation, full power accessories, backup sonar and backup camera, Bluetooth, CD changer, chrome wheels, driver memory seat, running boards, sunroof, woodgrain and more. This Armada has a lot of looks and is quite spacious. Please call for more information or come test drive this SUV today.